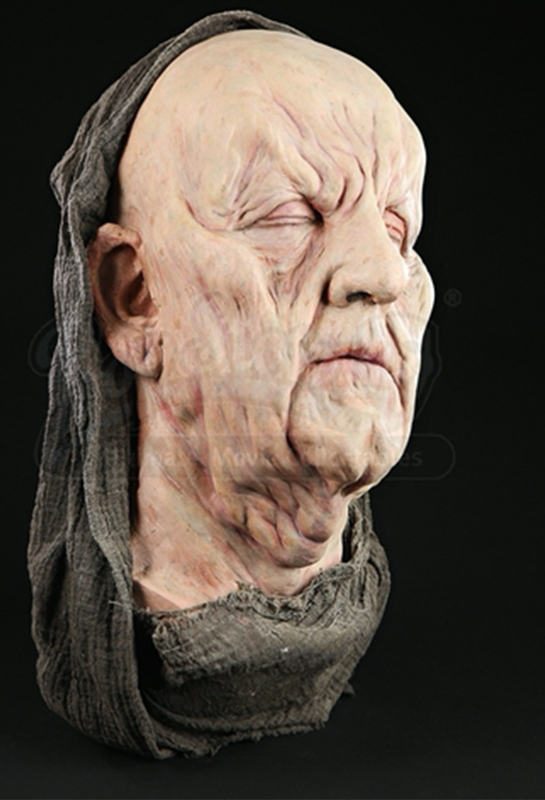 Original props and costumes by the Academy award-winning make-up effects artist Greg Cannom from his 40 year-career are currently at auction. Until 26th February, Prop Store, the online memorabilia shop, will host a sale which includes pieces from more than 50 films from Cannom's career. This includes more than 150 masks, maquettes, costumes, creature effects pieces and production ephemera from films including Bram Stoker's Dracula, The Mask, The Rocketeer, The Curious Case of Benjamin Button, Hook and Masters of The Universe. A real piece which will excite Star Wars fans - and there's a lot of them - is a Darth Vader helmet casting made from the original molds in order to be taken on a promotional tour following the release of Episode IV: A New Hope. Cannom has been been nominated for nine Academy Awards. He scooped up three of them for his work on Mrs. Doubtfire, Bram Stoker's Dracula and The Curious Case of Benjamin Button. Watch Daniel Craig and Sarah Jessica Parker present Greg Cannom the award for Makeup for The Curious Case of Benjamin Button at the 81st Academy Awards in 2009. Brandon Alinger, Prop Store CEO, commented: "We're delighted to offer this exclusive collection of Mr. Cannom's award-winning work. The artistry embodied in these creations is something not commonly seen in today's films and the opportunity to offer these incredible pieces permanent homes with people who can preserve their legacy is very exciting." Check out Prop Store on Barnebys here.